Why Buy a House in Fort Lauderdale, FL? Why Buy a House in Fort Lauderdale, FL ? 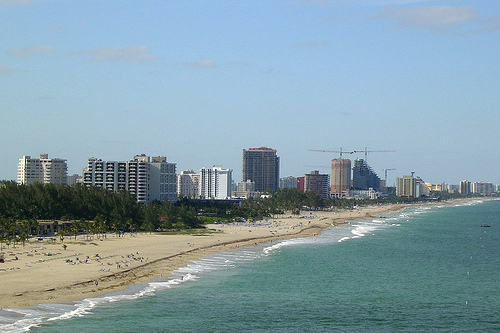 Fort Lauderdale is an urban city in Florida that offers a variety of attractions and activities. With temperatures between 60 – 90 degrees Fahrenheit year round, the climate is just one reason to buy a house in Fort Lauderdale, FL. The metro area of Ft. Lauderdale has a population of over 1.8 million people and it is one of the major tourist attractions in the state. It offers all the amenities of a downtown city as well as a number of beaches and canals. In fact, Fort Lauderdale contains 165 miles of waterway and borders the Atlantic Ocean. Along with yachting, the city is also known for its extensive history dating back to the 1700’s. The city is comprised of more than 60 official neighborhoods and 25 unofficial. Each has its own personality created by the residents that live there. Rio Vista, for example, is an extremely affluent neighborhood with only 1,000 homes. The buildings contain impressive architecture and the streets are lined with trees. Hollywood, on the other hand, features multiple parks like a rotary and skateboard park. It is full of family friendly attractions and features free concerts and art. Why Buy a Home in Fort Lauderdale? The tropical rainforest climate means that there is little shift in temperature. There are plenty of beaches to choose from when you want to relax, a bustling nightlife, and family friendly activities. With the average house cost at $237,800, it is an affordable option. When you are ready to discuss where the Florida real estate market or need help finding the right Fort Lauderdale neighborhood to buy a house in, contact your real estate agent. Their knowledge and experience will get you in the right home for the right price. "Your customer service has been fantastic and I really appreciate your responsiveness. I would recommend you to anyone thinking of listing their house on their own."